Have you ever heard about a peaceful tea meditation ritual? This is a well-known Japanese tea ceremony, which helps find a peace, improve concentration and become more mindful. Tea was quickly accepted by the Japanese and became an essential part of their culture. Zen monks choose tea meditation as a good way to stay mindful during their meditations. 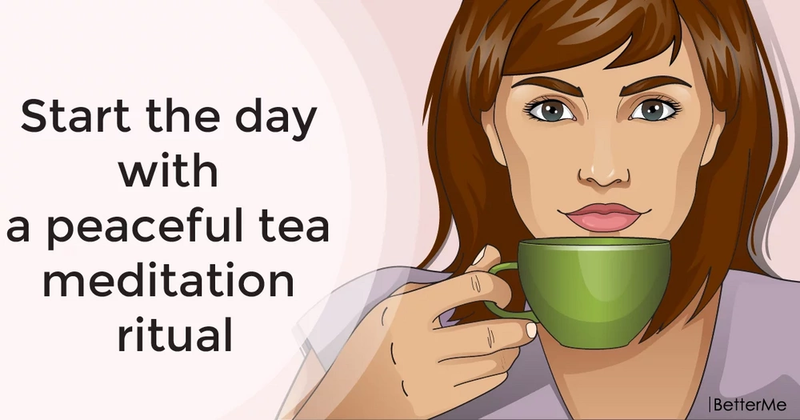 It may surprise you, but tea meditation is not difficult, as all you need to do is to prepare and drink tea. 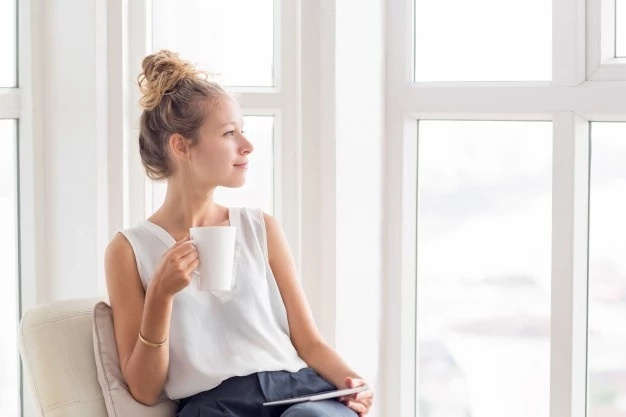 In this article, we would like to show you how to perform this easy tea meditation practice in order to get all the benefits. By performing this ritual regularly, you will see noticeable changes in your mental and physical health. Are you interested? Scroll down to read this simple guide right now. Be aware and focus on the entire process of tea making. You may choose any type of tea you want, just make sure you are aware of the present. Once your drink is ready, find a comfortable place to sit. Be attentive to the smell of your tea and its color and taste. Don't start drinking immediately, take a moment to think and relax. Before you start drinking your tea, say thanks for your cup of tea. Think that some people don't have pure drinking water, but you have the opportunity to drink this delicious tea. Appreciate it and be aware of it. Now it is your time to drink tea. Don't be in a hurry, take your time. Enjoy every sip of this hot beverage. Let go all the negative thoughts and enjoy this precious moment. When you finish drinking your tea, say thanks for your cup of tea again. #1. It may help you relieve stress levels and clear your mind. #2. 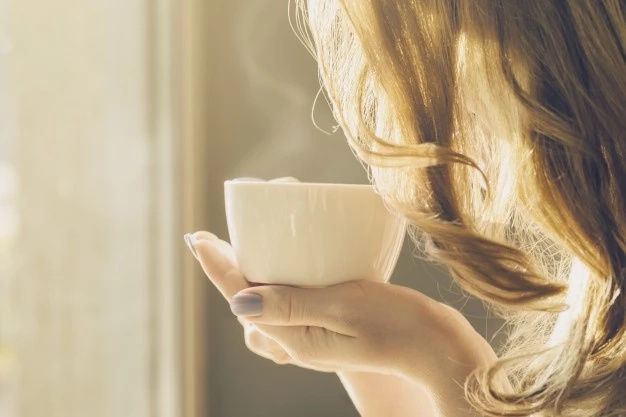 This great morning ritual can help you wake up in the morning. #3. 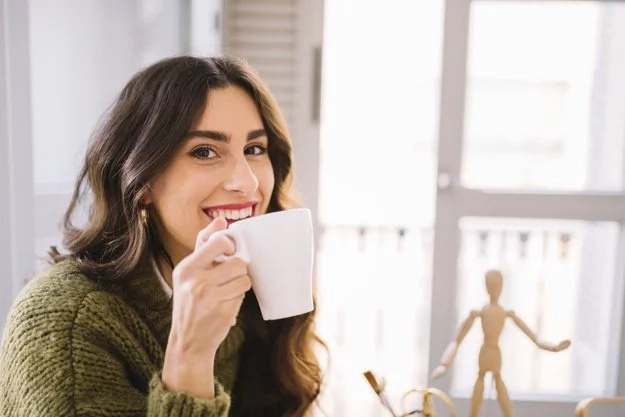 Regular tea meditation will make you more mindful. #4. Tea is beneficial for your health, so you will notice an improved health. #5. It can help you prepare for your sitting meditation practice. #6. You may invite your friends to show them the process of tea meditation.